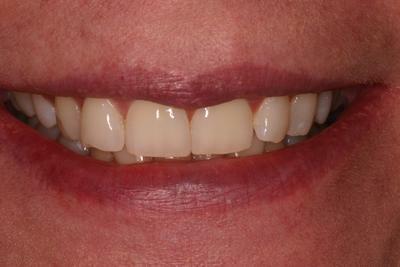 This patient presented with a desire to increase the length of her left front tooth which had become slightly shorter due to wear and to make the left lateral incisor ( the next tooth to the left of the left front tooth) appear less rotated. 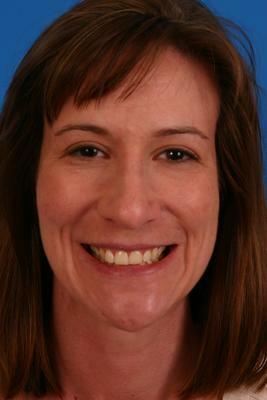 As always, when we plan to do any cosmetic dentistry, we recommended that this patient first whiten her teeth. 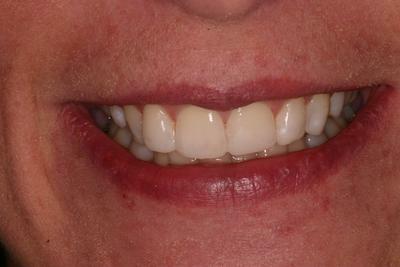 Once the teeth were whitened, we used a special technique to add length to her front tooth. 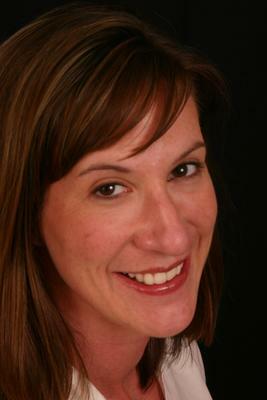 A material was chosen by my team that matched the color and shade of her newly whitened teeth. We were able to add the desired length to her front tooth and alter the appearance of the lateral incisor without numbing her teeth or removing any of her natural tooth structure.